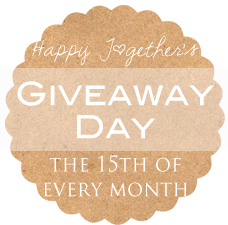 Don’t forget to get in your entries for the giveaways for this month! Only a few more days until they close. Also, if you are interested in advertising on Happy Together, February is open except for the large size. See here for more details.